Is it the Northside or the Outside? Our new series of identifying images of the Northside, and greater Pittsburgh area, is a fun way to see the city’s transformation and your knowledge of Pittsburgh landmarks. 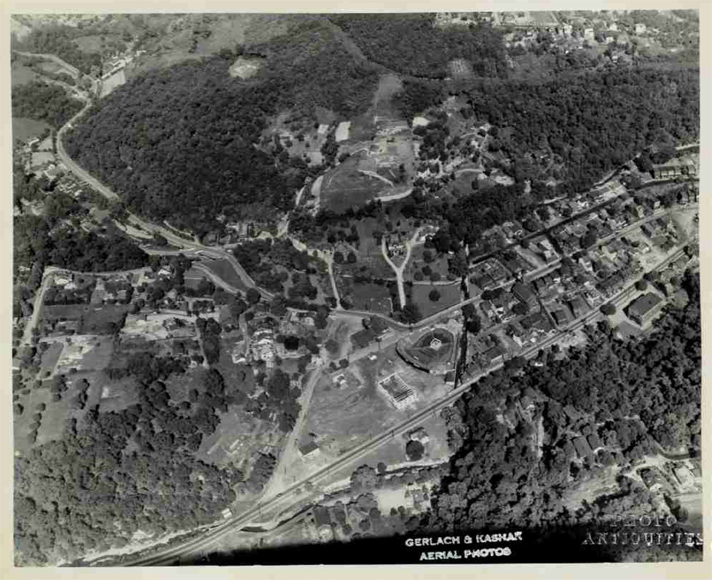 Consider asking Gram or Pop Pop to help you out though; these images are circa 1940-1950 by Gerlach & Kashak Aerial Photos, courtesy of the Photo Antiquities Museum of Photographic History Collection. Players must email their quiz answer to bruce817(@)yahoo.com to be qualified for a chance to win. Deadline for your answers to the photo quiz below is Wednesday, February 6th. Copyright for all the images within the history quiz series remains with Photo Antiquities Museum of Photographic History. *The Northside Chronicle is unable to process reader submissions for the history quiz or provide any assistance regarding the collection of prize(s). Please directly contact Photo Antiquities Museum of Photographic History.